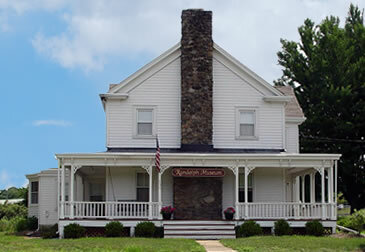 Formed in 1979, the Historical Society of Old Randolph (HSOR) is a non-profit organization created to promote and preserve the unique heritage of Randolph Township. It meets each month to plan activities, discuss projects, and share stories about Randolph’s past. Along with the Randolph Township Landmarks Committee, the HSOR oversees the Randolph Museum, formerly known as the Museum of Old Randolph. Artifacts from life in and around Randolph are exhibited in displays that include an old-fashioned schoolroom, home life, local industry, farming, and the Mt. Freedom resort industry. Visitors can gain insight into the industries that brought the area from colonial times to the present. Opened in 1988, the museum had been housed in a two-family summer cottage that was one of Randolph’s forty-five bungalow colonies. These colonies were popular summer vacation destinations during the township’s resort era that began as early as 1905 and lasted through the 1960s. Sherman Acres was one of over 45 bungalow colonies that thrived in Randolph during the resort era (approximately 1930s-1960s). View a video depicting the colony in the late 1950s and early 1960s as provided by Ellen Starker-Minicucci. The video, taken in the mid-1980s by Bruce Bertrand, son of former Randolph Township clerk Randolph Fran Bertrand, is juxtaposed with video footage taken of the bungalow colony remains. In late summer of 2005, the museum completed its move to the Brundage House, a circa 1867 building at the gateway to Freedom Park. The museum’s new location was made possible when the 2004 Town Council granted permission for the Randolph Museum to occupy the entire ground floor. View a 1-page history in PDF format about the house and the families who lived there. courtesy of the Randolph Reporter. 10:00 a.m. to 4:00 p.m./12 noon to 4:00 p.m.
Last Sunday opening of the season until spring 2020. The public is invited to attend HSOR meetings. Your membership assists the HSOR in providing programs and services for the community. You will receive invitations and updates for guest speaker presentations, workshops, seminars, and the annual township tour. For your convenience, we have made the membership application available online.